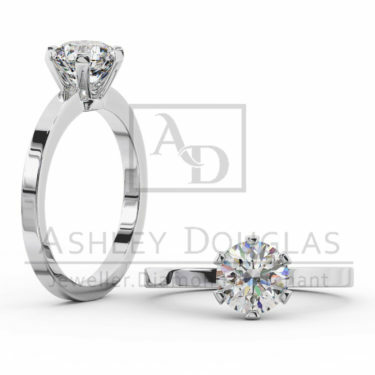 18ct white gold ring set with 1 x .26ct F SI1 round brilliant cut centre diamond. 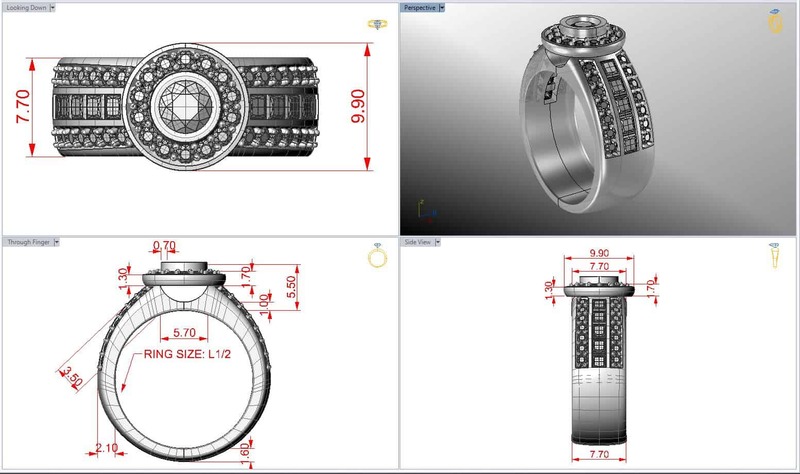 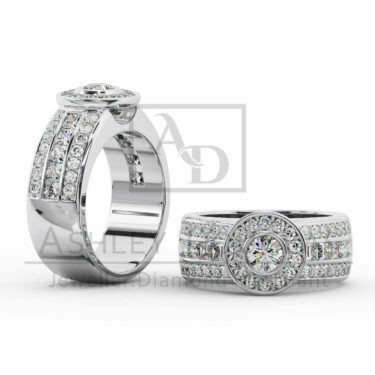 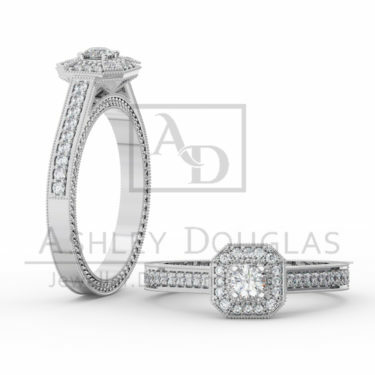 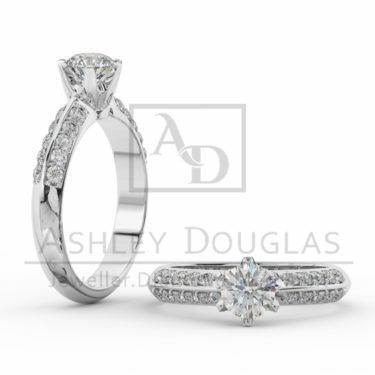 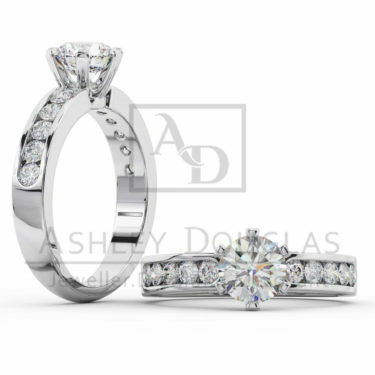 18ct white gold ring set with 1 x .26ct F SI1 round brilliant cut centre diamond, channel set in the middle of the band with 10= .71cts F SI princess cut diamonds and grain set halo and side band contain 42= .53cts F SI round brilliant cut diamonds. Total diamond weight 1.5cts.